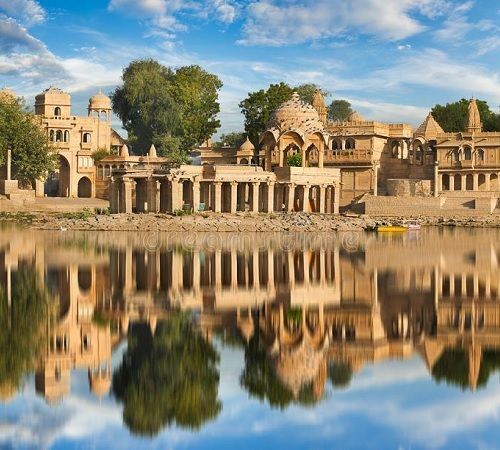 Jaisalmer is the only authentic desert holiday destination in India, where along with a tour of its palaces & mansions, you enjoy a day at the desert dunes. 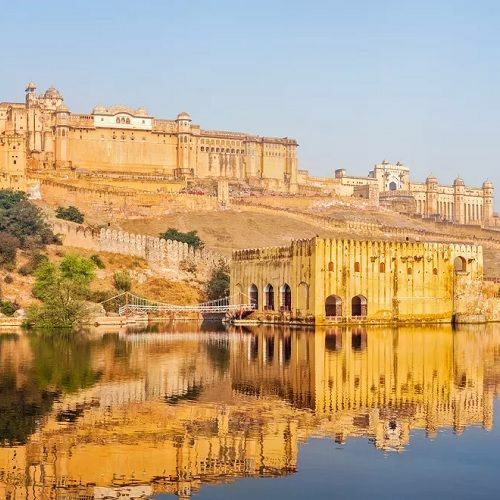 We are a New Delhi based travel firm, with support teams in Jaisalmer & offers below tour packages for Jaisalmer & Jodhpur, which all starts from New Delhi. 2 to 3 nights Jaisalmer tour from Delhi via road, train or flight. 6 nights Jaipur Jodhpur Jaisalmer tour package. Our Jaisalmer only tours from Delhi. Here we offer three well planned Jaisalmer trips from Delhi, which one can plan with us via road, train & flight. Complete transportation in private car with driver. Click below button for complete tour details or call us at +91 9782585460. Call us at 9782585460 or click below button for complete tour details. Complete local transfer in private car with local driver. View details of our 2 nights & 3 nights Jaisalmer tour by clicking the button below. 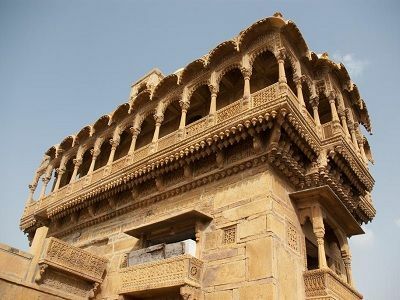 The best tour plan for Jaisalmer is when you add 1 or 2 night stay in Jodhpur, which is just 4-5 hour drive from Jaisalmer. 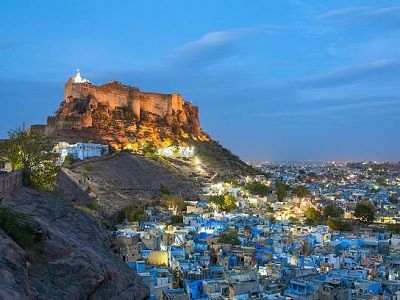 We present three Jodhpur Jaisalmer Tour Packages, where along with Jaisalmer, you will spend 1-2 nights in Jodhpur, famous for it’s fort, palace & local cuisine. Airport/ Train station pick up & drop all included in AC Cabs. Sightseeing tour of Jodhpur, Jaisalmer & Sam sand dune, in private cab & with local guide. 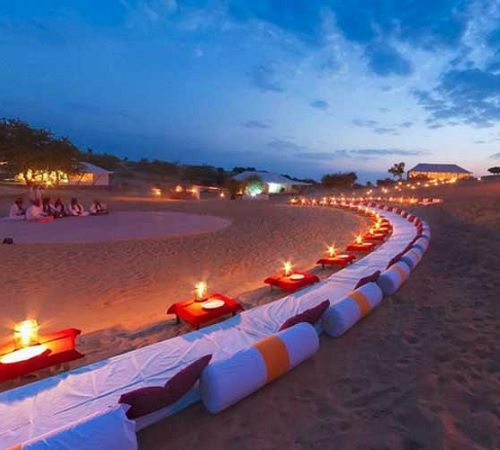 Activities like Desert Safari, 1 night Camp stay, musical nights at desert all included. – Contact us for fare. Contact us at below details for fare. Our Jaipur Jodhpur Jaisalmer tours. 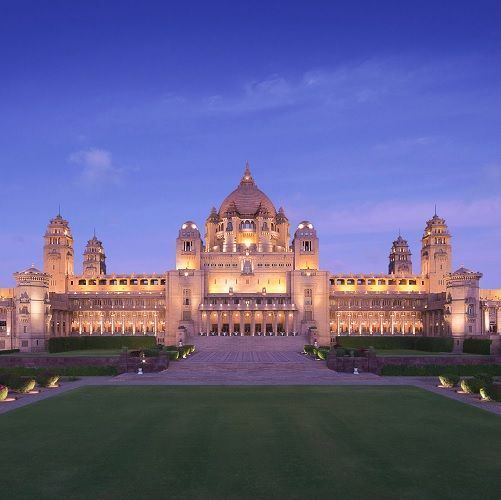 Plan a minim Rajasthan tour with trips to Jaipur, Jodhpur, Jaisalmer & some on-route landmarks. We present two Jaipur Jodhpur Jaisalmer Tour Packages, where the tour will start from Jaipur & end at Jaisalmer. 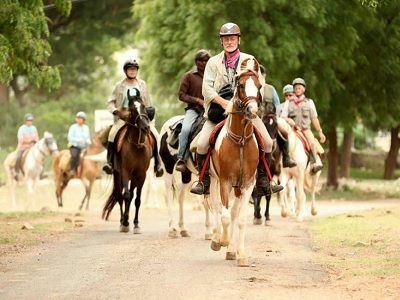 This is a mini Rajasthan tour which takes 1 week & is full of amazing experiences. Complete private transfers from pick up on day 1 to drop on last day. Minimum 2 days sightseeing tours of all three cities. 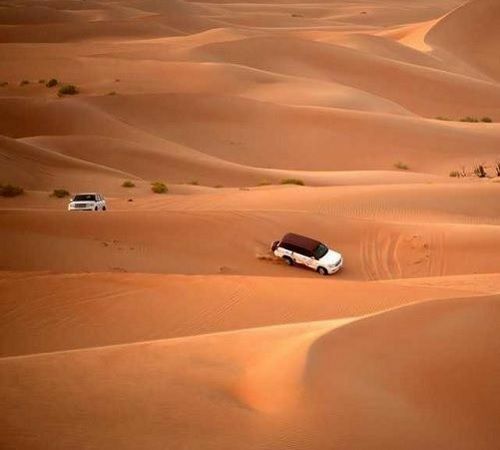 Desert safari & camping activities along with camp stay in Jaisalmer. How to plan a Jaisalmer trip from Delhi? 15014 Ranikhet Express leaves at 3:55 am from Delhi & arrive 11:25 pm at Jaisalmer. Spicejet plane leaves at 8:45 am from Delhi & arrive 10:05 am at Jaisalmer. Contact our manager Mr Singh at +91 9782585460 or mail at shjodhpurjaisalmer@gmail.com to get assistance in planning a Jaisalmer trip from Delhi with us. By clicking the below links, you will get good information on how to arrive in Jaisalmer, via train or flight, from your home town. View some related tour packages, activities and blogs which can assist you in planning Jaisalmer tour plans.